What is the Tunnel Illusion? It is Halloween, and you and your friends decide to go to a haunted house. 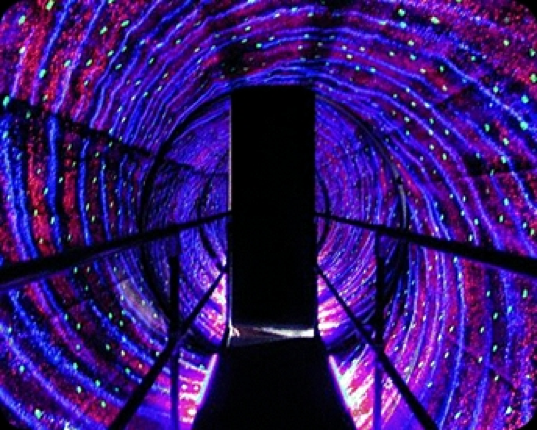 While wandering through the spooky scenery, you come upon a tunnel that seems to be rotating. Curious about where the rotating tunnel will take you, you decide to enter. When you enter the tunnel, an illusion immediately hits you, making you feel off-balance, dizzy, and causes you to walk sideways. This phenomenon is called the Tunnel Illusion. No, it is not because you have incredibly bad balance, or there was a spell cast upon you in the haunted house, but rather, the brain receiving conflicting signals from the senses. Confusion in the brain is created from the sense responsible for balance, otherwise known as the vestibular sense, and the visual sense. (“How does our sense of balance work?”). 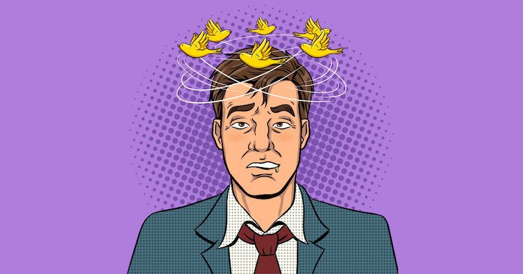 Reading this, you may believe that you are invincible, and that this effect will not happen to you, but if your visual and vestibular systems are working as they should, you will fall (figuratively and possibly literally) victim to this phenomenon. Why do our bodies respond by feeling dizzy and off-balance? 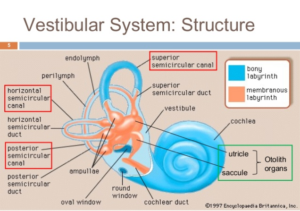 In order to understand the illusion, the vestibular system needs to be acknowledged. This “sixth sense” is responsible for clear vision when we move, maintaining balance, spatial orientation, and autonomic reflexes such as maintaining blood flow (Wolfe, 2017). Without this system, just like the other senses, things would feel unnatural. 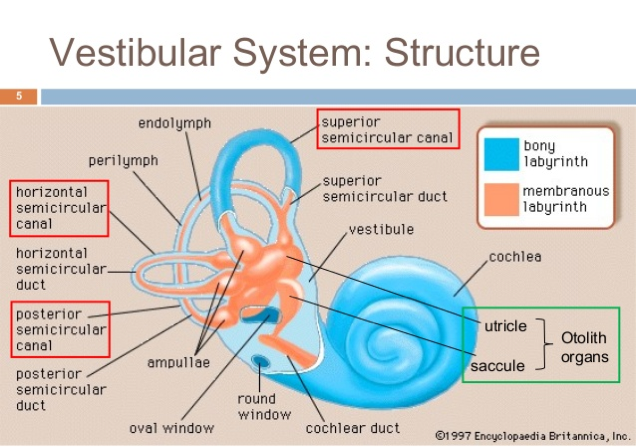 The vestibular organs responsible for creating this illusion, the semicircular canals, are found in the inner ear. The tunnel illusion causes our body to react to a sensory conflict between the vestibular and visual system. Conflict between the two senses causes rotation vection which is an “illusory sense of self-motion caused by moving visual cues when one is not, in fact, actually moving” (Wolfe, 2017). Have you ever sat at a stoplight, completely still, yet felt as if you were rolling backwards when the person next to you was rolling forward? This is a common example of vection, and the same effect occurs with the tunnel illusion. Some individuals may fall down due to the illusion since the visual stimuli fills our entire field, and is moving clockwise. Our brain believes our body is leaning left. As our brain perceives our body leaning left, our brain tells us to lean right so we don’t fall over. Ironically, this compensation actually causes more loss of balance. When we compartmentalize the vestibular sense from the visual sense, everything makes complete sense to our brains. It knows that we are standing still when we look at it just from the vestibular view. But when put together with the visual sense, it plays a mean trick on us, resulting in these effects. Since vision is so important to balance, the reason we feel as if we are moving is because our brains believe it is more likely we would be moving, rather than the scenery around us. Think about it, is it more likely when staring at a rock, and we detect movement, that it is the rock moving, or because we are moving? This “shortcut” is used in the tunnel illusion because that is what is common in most scenarios. Our sensations integrated together can, and does, alter the way we perceive the world around us. Our brains are incredibly intelligent, but just like so called “smart” phones can have glitches, so can our brains when something contradicts what it is expected to do. Wolfe, J. M., et al. (2017). Sensation & perception (5th ed.). New York, NY: Oxford University Press.